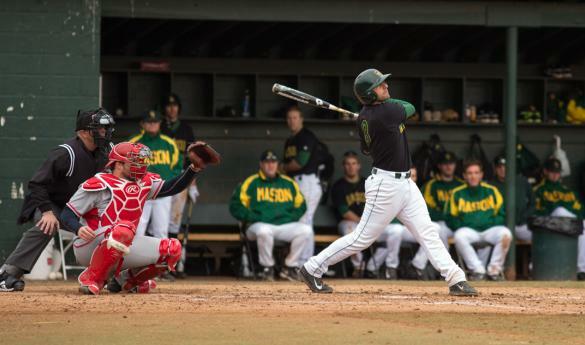 Hartford topped Mason 4-3 in game 3, but Mason took the series 2-1 over weekend (photo by Maurice Jones). The Patriots took an early 2-0 lead off two second inning RBI’s from first baseman Jayme Murray and second baseman Derek Evans. Hartford outfielder Brady Sheetz erased that lead and put the Hawks up one with a bases clearing double in the 5th inning. Down 3-2, Tobin tied the game back up when he pushed Blaise Fernandez across the plate with a line drive over the center fielders head. Tobin was then caught trying to steal third and that took the air out of the big inning possibility. LHP Jared Gaynor entered the game in the 7th inning and held the Hawks scoreless for the next four innings. He recorded two quick outs in the 12th until he gave up the game winning run. 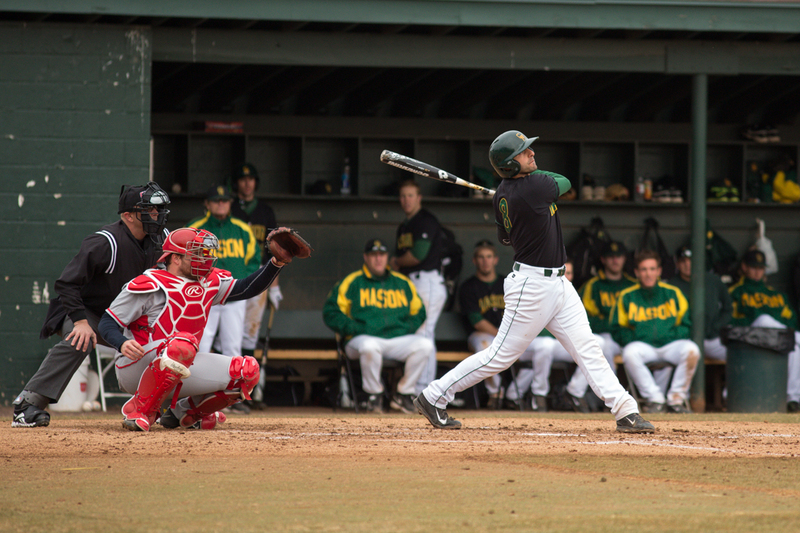 Mason had a great chance to end the game in the bottom of the eleventh when they got two lead off walks. A failed sacrifice bunt left them with one out when Luke Willis grounded out to the pitcher advancing the runners to second and third. Hartford got out of the jam when Tobin flew out to left field. With the loss Mason drops to 8-3 on the season. There next game will at home against Towson on Wednesday, March 5th at 2:30 p.m.